Inspired by the everyday lifestyle of the industrial working world, industrial style celebrates pared-down architecture and utilitarian forms. Industrial style is all about the marriage of form and function. It favors practical materials and straightforward designs and manages to remain effortlessly chic and edgy in spite of its simplicity. If you’ve ever dreamed of living in a remodeled tobacco factory or an upgraded garage, then industrial style might be calling your name. Here are some key features of the new warehouse chic. Since the whole concept of industrial design centers on a stripped-down aesthetic, it makes perfect sense for the floors to be as basic as possible. Concrete is the base layer for many types of flooring, and industrial style elevates the simplest forms as the most honest and authentic. Concrete, whether polished or raw, resonates with this industrial ideal. Weathered wood and simple tiles are good alternative options that also reflect the integrity of the working class and the elegance of simplicity. 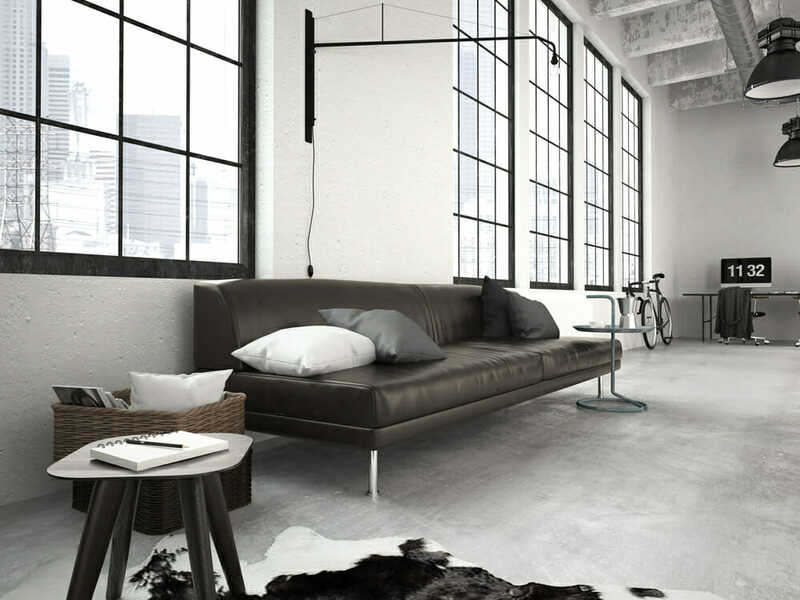 Open floor plans with minimal interior walls give that airy warehouse feel that industrial style prizes. High ceilings and wide-open spaces recall the factories and packing plants that first inspired the style. Many of these old buildings are being remodeled into open, loft-style apartments. Grouping furniture into functional groups can break a large room into distinct dining room, living room, and bedroom areas while maintaining the expansiveness representative of industrial style. Metal plays a huge role in the accents and architecture of industrial space. Nothing screams “factory” quite like steel and iron. 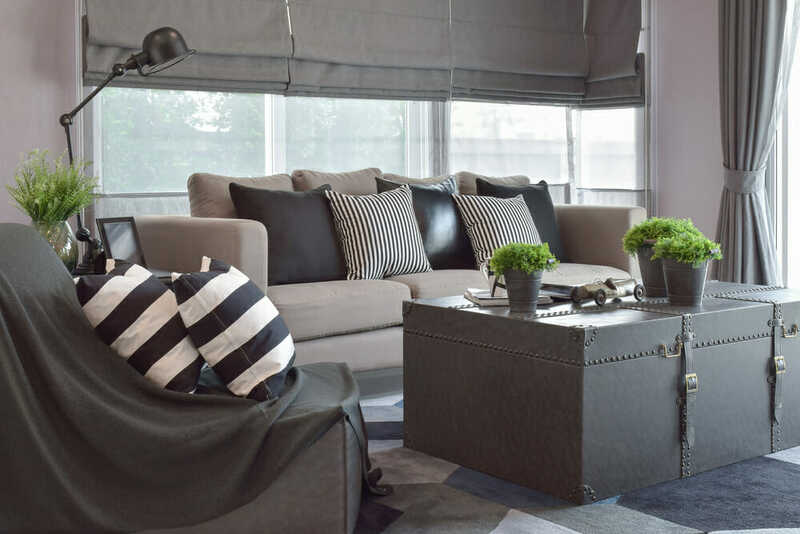 Unlike modern design, which features shiny chrome and other bright metals, industrial style favors dark metals like wrought iron, or dulled metals like brushed nickel and copper. The idea is to incorporate metal in the same utilitarian ways that it was used during the industrial revolution. Add in wood and stone elements to break up the heavy metals and add a visually pleasing contrast. 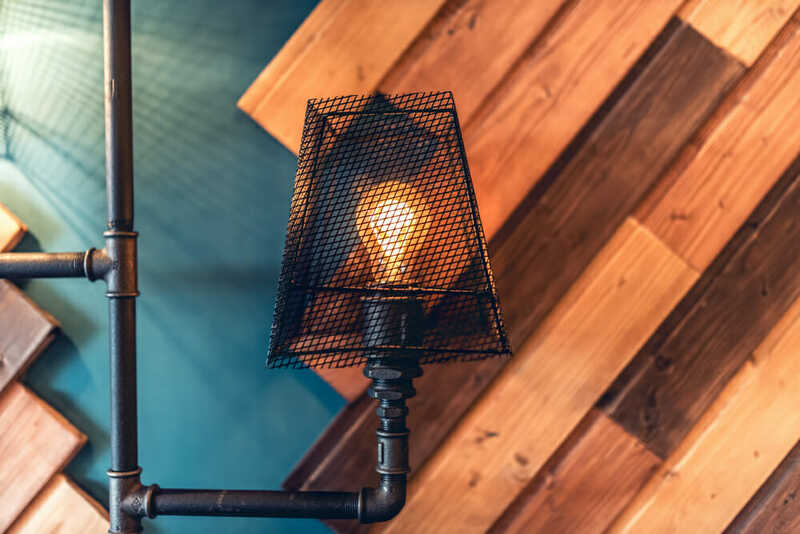 Old road signs, twenty clear light bulbs hung from the ceiling at different lengths, screws and faucets and other odds and ends all fused together into an interesting sculpture –all of these artistic expressions would perfectly suit an urban industrial space. While other styles like modernism and minimalism appreciate the value of abstract art, industrial style embraces art that takes big risks. The edgier the piece is, the better statement it will make. Of course, you can’t underestimate the value of simple black and white photos to balance out the more daring pieces. 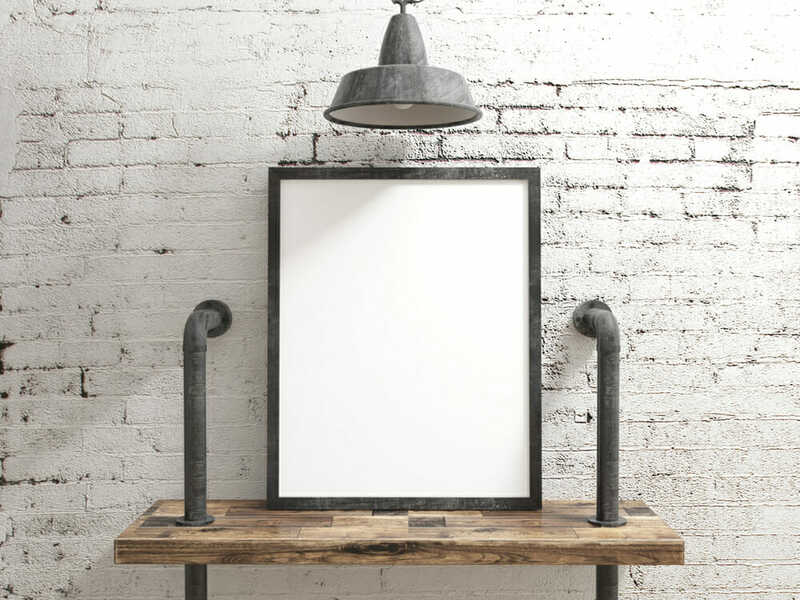 In industrial style, furniture strikes a delicate balance between new and vintage. At its core, industrial furniture is utilitarian, with clean lines and no extra frills. However, this style also embraces the eclectic and encourages unique interpretations of what counts as minimal and functional. 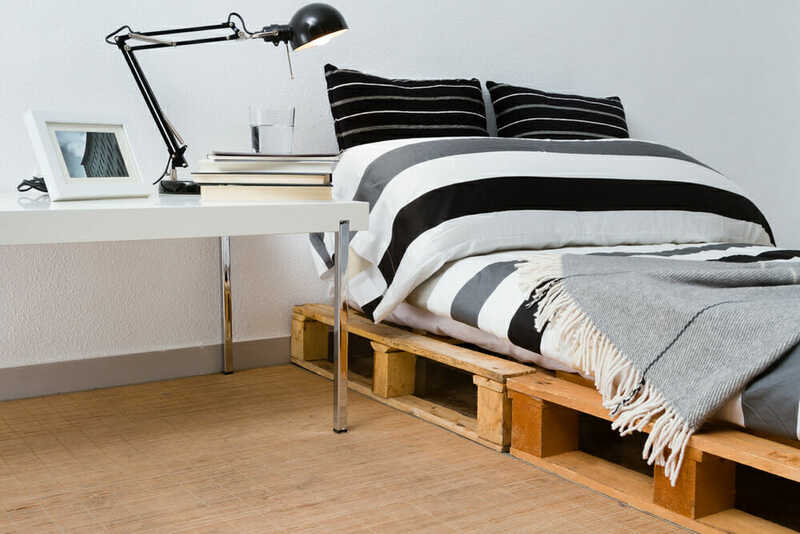 In industrial design, a TV stand made of stacked pallets or a suitcase used as an end table will pair effortlessly with a white plastic chair or a plush red ottoman. 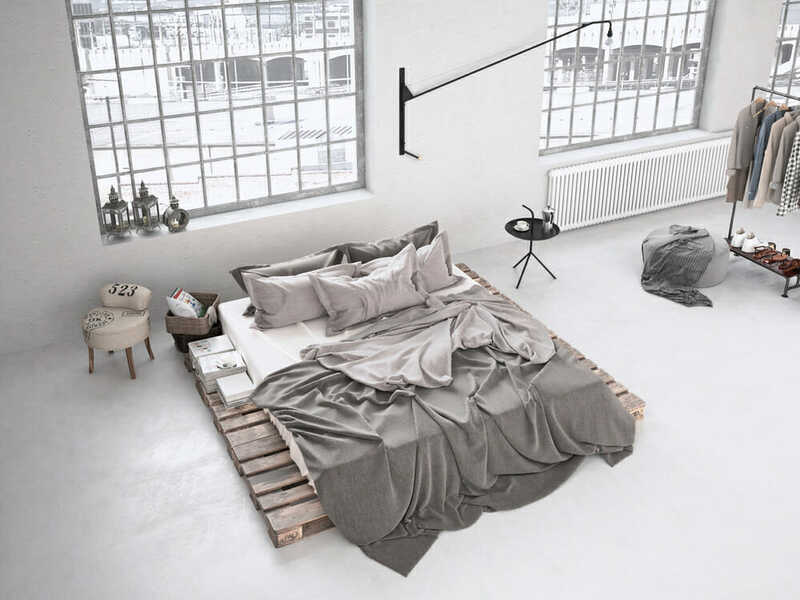 In general, industrial furniture sticks to neutral, solid colors and uses soft, natural textures. Industrial design relies heavily on materials commonly used at the turn of the century. Salvaged pieces are the perfect way to incorporate authentic elements from this time period. This might mean repurposing pieces from a salvage yard to create new furniture and décor, or taking found objects and displaying them as art. The salvage yard is an excellent place to find small accessories like door handles and hardware for cabinets and drawers as well as pieces like empty crates and old drawers that can be used for storage. Industrial style embraces the bare bones of a space and incorporates architectural elements like pipes, ductwork, and metal beams into the design. Showcasing mechanical details like pulleys and cogs further enhances the skeletal feel of the architecture. 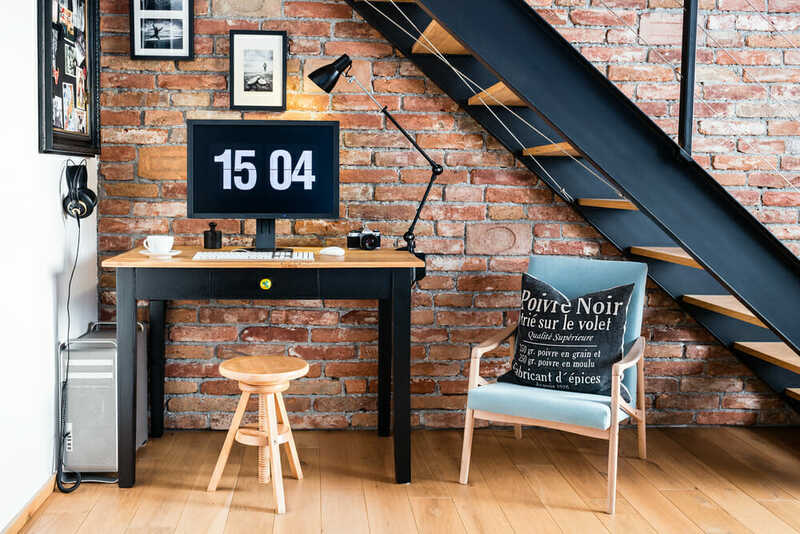 Unfinished walls with cinderblocks and exposed brick instead of tidy plaster lend a raw and naked feel to the space that aligns with the industrial ideals of honesty and integrity. Large windows left bare of curtains or blinds add to the exposed feeling. Are you into edgy art? Do you like being able to see the mechanics of things? Do you value hard work and see the simplest materials as the most honest? Do you see beauty where others see only junk? Do you love thrifting and repurposing? 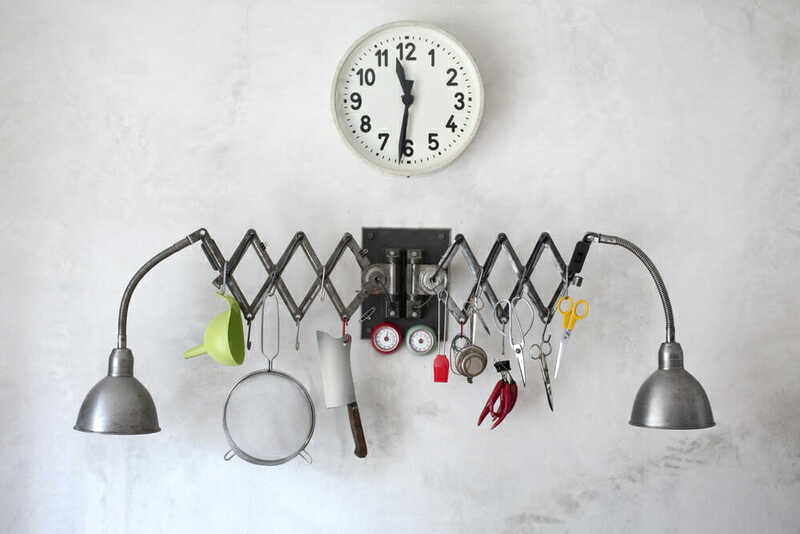 If any of this sounds like you, then industrial style might be speaking your language. What do you find most appealing about industrial style? What parts would you rather do without? We’d love to hear from you!